50 years. 50 weeks. 50 stories. A look at some of the odd jobs the Peachtree’s volunteers have taken on over the years. Looking back on the founding and evolution of the Anthem Peachtree Junior. Sign up to have every story of The 50 delivered right to you. You can start preparing for the 50th Peachtree by checking out the AJC Peachtree Road Race website at atlantatrackclub.org. Learn about registration, the expo and more. Each Thursday, you'll find a new story on this site examining the history, legacy and impact of this quintessential Atlanta tradition. To learn more about the project, click below. 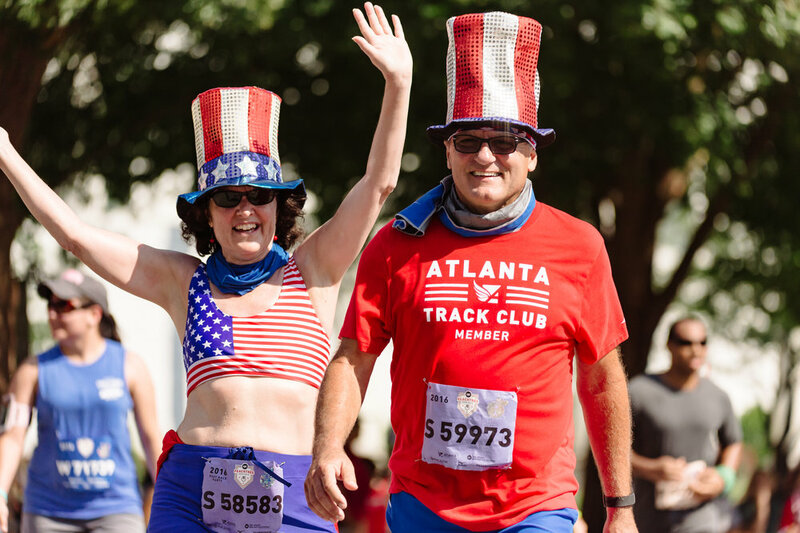 There's only one way to guarantee your entry for the 50th AJC Peachtree Road Race: By becoming an Atlanta Track Club member. Join today and you'll get 18 months of membership for just $35.